With the ever-rising wave of female empowered content comes more and more harsh criticism. And strangely enough... the largest and loudest amount of criticism is coming from men. With releases like the Vevo-record-smashing thank u, next by Ariana Grande to Mamma Mia! Here We Go Again, there is a palpable rise in disdain from men about the power, independence and ambition of these women, who are front and centre in the media. The question is why? What is so wrong about women being free to love themselves, and be themselves? Why is this such a cause for debate? The answer, to put it simply, is misogyny. The dislike of, contempt for, or ingrained prejudice against women. However, it is not always an all-encompassing hatred. It appears to be more so certain 'qualities' women possess, that make men act in a verbally or physically aggressive manner. These qualities happen to be the qualities I mentioned previously to describe thank u, next and Mamma Mia! Power, independence and ambition. It’s important to remember that misogyny is mostly an unconscious hatred towards women and that some people don’t even realise they participate in it. It’s equally important to remember that there's a big difference between disliking women-centric tv show or films because they, for example, were poorly made - and being verbally abusive because a woman is centre stage and powerful. These misogynistic tendencies, don’t allow men (and women, internalised misogyny is a thing!) to fairly support women when they are being their authentic selves. Just because something like a film, tv show or music video shows women this way or is predominately pushed toward a women audience, doesn’t mean you can’t support it. Things don’t have to benefit you for you to support it. We should all want to uplift women because it’s the right thing to do. We don't see enough of this kind of positive representation. When independent women are usually represented in the media they are portrayed as bitchy and lonely. What we are seeing now is that these qualities: power, independence and ambition are not negative attributes, they are qualities women should be proud to possess. We can see that in the Mamma Mia! Franchise. Mamma Mia! is a successful women’s film (as the old Hollywood critics would call it) because it shows a different type of independent woman. A woman who is sexually liberated, an entrepreneur and a woman who is truly happy within herself. The beauty in these movies is that fact Donna, played by the legendary Meryl Streep, is never shamed for her sexual explorations, she is loved by her friends and family unconditionally, and this is something we don’t usually see in the media or real life. Mamma Mia! radiates positivity, regardless of how many critics saw the film as something to wince at, something unrealistic, and thought of Donna’s sexual past as shameful. We also see this attitude towards Ariana Grande. Grande has faced a lot of unfair treatment in the media, but she is always able to keep moving forward. 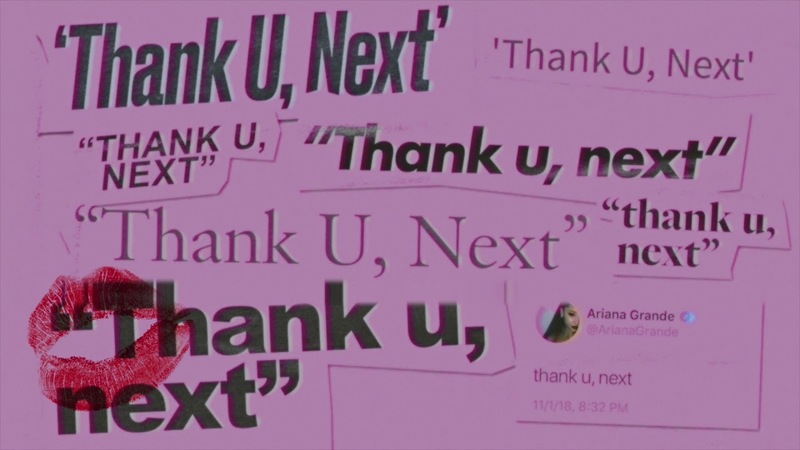 After a very difficult year, she produced the thank u, next - a song of gratitude for what her exes have taught her, but more importantly, it’s a song about herself; her independence and her self-love. After the last few years, what we should be doing is praising Grande for her strength, her power and her seemingly unshakeable resilience. Instead, on social media, there have been several attacks about her past relationships, how she's currently handling herself and this song in particular. Misogyny holds real power. It’s pervasive, and it’s important to check your own behaviour as well as the behaviour of friends in an attempt to stamp it out. Misogyny will only be reduced through public acknowledgement and the learning of lessons. Only then will we be able to be fully aware of what women are dealing with every single day, and be in a position to make some change.